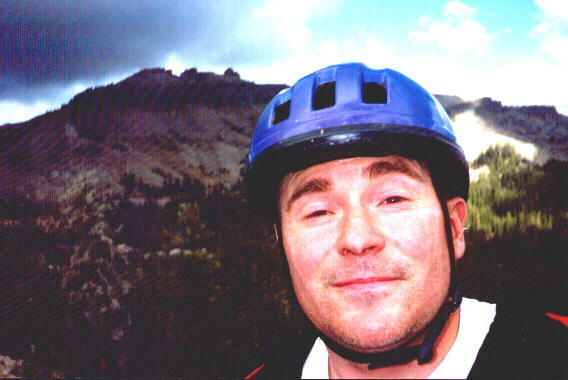 Randy's Ad-VEN-ture Page -- Mountain biking, road cycling and mountain climbing. If you don't know what a RandyMile is, you haven't adventured! Mountain Biking! Obsession is such a harsh word. 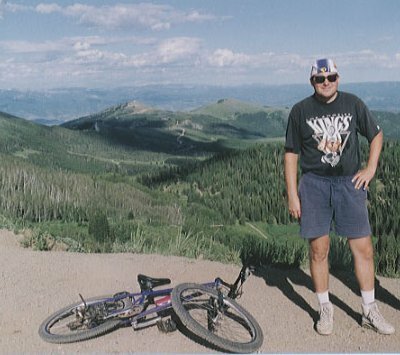 Click a thumbnail for a view from atop the Wasatch Mountains above Park City, Utah or for a self-portrait taken while MTBing in front of Castle Peak, CA. 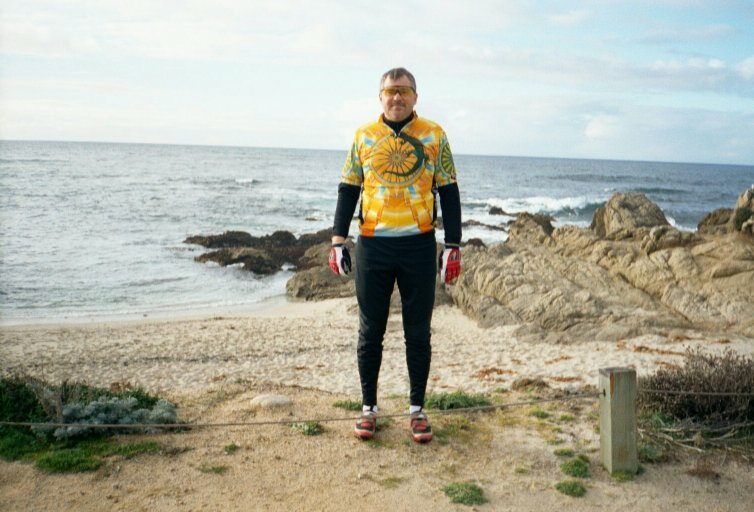 Are you serious about mountain biking, try a FATRAC (Folsom-Auburn Trail Riders Action Coalition) ride or follow the GPS tracks to one of mine! You wouldn't think road riding could be THAT adventurous. Come on! You just have to be creative!! You need a "Damn the weather weasels, I'm going riding" attitude. Perhaps then you too can ride through miles of lightning and hail. Or try starting a 10 hour ride in the afternoon without lights and proper clothing and see where that gets you. So crank up your imagination and above all, don't let common sense slow you down! Here's a few pix from some climbs I did last year in my beloved Sierra Nevada mountains. 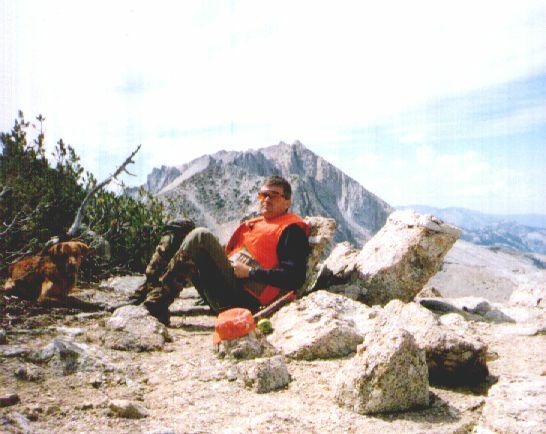 A shot of me just before the final ascent of Pyramid Peak. 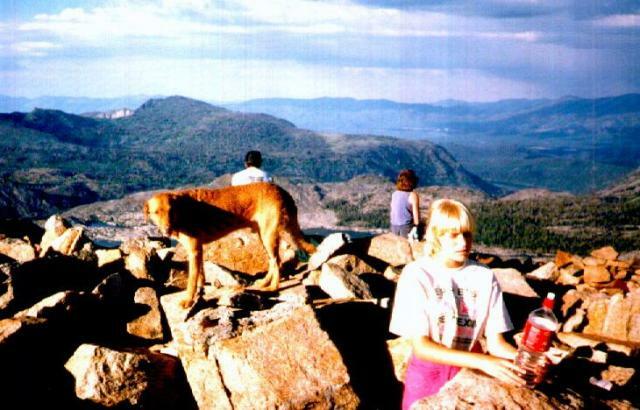 On the right, Roxanne leaning on Pyramid's summit peg with my loyal Chesapeake Bay retriever, Doctor Bones Decoy. They don't know (yet) that they're in for an unplanned bivouac! 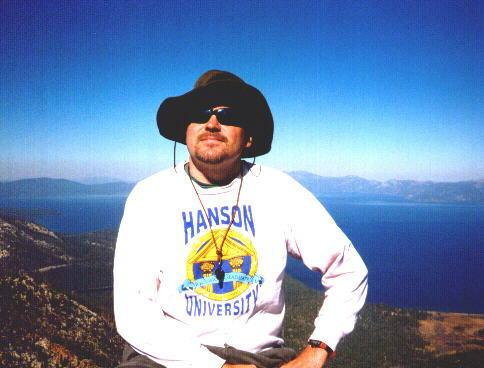 A view of Lake Tahoe from Mount Tallac. 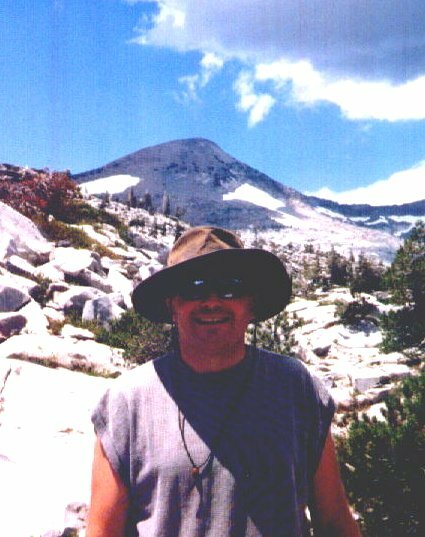 A shot of me in front of Mokelumne Peak. How'd that dang dog get in the picture again? 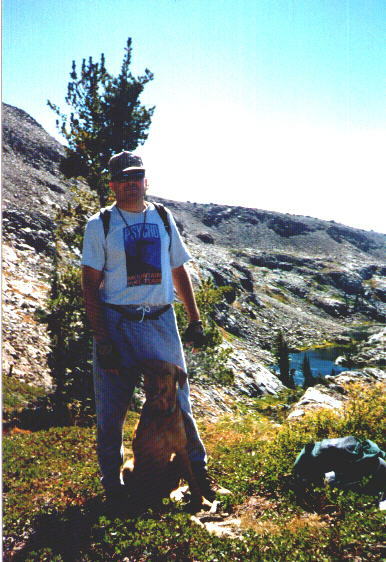 Bones and I on top of Shepherd's Crest, elevation ~12,000 feet. This is the tallest mountain I've climbed, and one of the few places in California inhospitable enough for ptarmigan to live. Well alrighty then, what's on my climbing calendar, you ask? The Cascades, a volcanic range extending from California to British Columbia. Here's some elevation stats and pictures for every peak in the Cascades over 10,000 feet.